Golf courses & country clubs around the nation are finally getting the message. Without millennials, their clubs don’t stand a chance in the long run and without social media there’s no hope for capturing the millennial audience. The next step in the process is mastering all the new updates that are constantly being rolled out by various platforms. In this case, let’s talk about how you can use Instagram’s Stories feature to amp up your social media presence. If you haven’t seen an Instagram Story yet, it’s good to have an idea of what they look like so you can become familiar with the concept before you start integrating them into your club’s social media practices, so let’s take a look! Instagram Stories are found at the top of each user’s news feed. The most recent ones show up first. Stories that haven’t’ been viewed yet have a colored circle around them. To view one, simply tap on the circle and the story will begin to play. Each piece of content is uploaded to last 10 seconds. Above is what it looks like to view someone’s story, you can see at the bottom there is a “Send Message” button which allows people to either click it or swipe up on that piece of content to send a direct message to the user who created the story. Another semi-new feature is the addition of Instagram Story Links to the public, which up until June of 2017 was only for verified users. Business profiles with over 10,000 followers will have access to it first, but we expect that it will roll out to a larger audience before long. 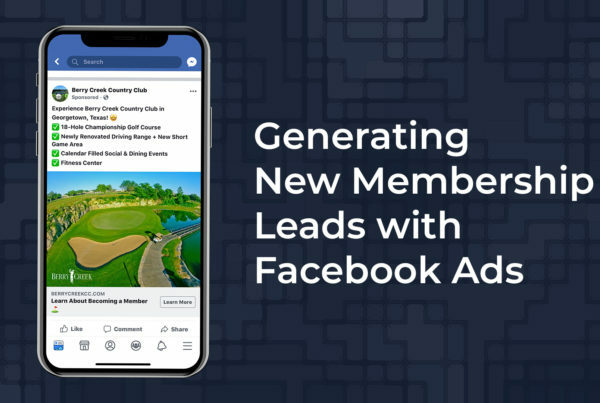 Now that you you’re a little more familiar with what Instagram stories looks like, let’s dive into how to use them to enhance the social media strategy of your country club. To start, make sure you’re on the home/news feed page of the app. From there, you can click the “+” button in the top left next to your circle (shown below) or swipe to the right. Next, decide between the type of content you want to post by swiping between the options at the bottom of the screen. This is also where you can switch the camera you are using (front or rear) as well as turn on the flash. You also can click the face button on the right side to add selfie filters. To take a video, you will hold down the capture button. Once you have captured your photo, video, or boomerang you can now edit it with filters or stickers. To do this, simply swipe up and pick the sticker you’d like to add. The location sticker will add your content to the location’s discovery story, which is a public story comprised of the stories of other users that are all located in the same area. It’s basically a collection of all the stories that were uploaded with that location tagged. This is a great way to gain exposure and reach more millennials at no cost to you. Once you have edited the content and you’re happy with the way it looks, simply click the icon that says “Your Story” in the bottom left to publish it. 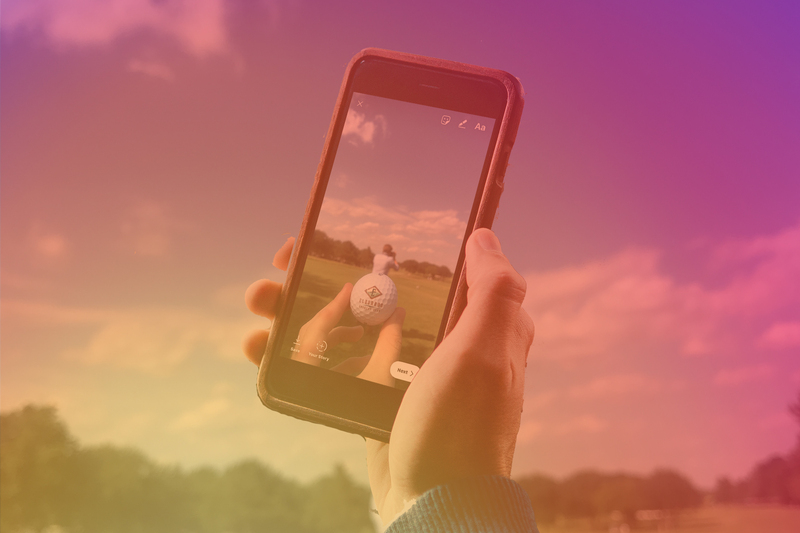 The possibilities are endless when it comes to content for Instagram Stories at your country club or golf course, but here are a few ideas for content that we have found to be the most successful. With the ability to add your content to local public discovery stories, you can reach more millennials than ever before. One of the best ways to use this free perk is by sharing flyers to your Instagram story and adding the location sticker to them. This will make sure they are shared with everyone accessing your local discovery story and help create awareness of not only your event but also your club in general. Instagram allows you to upload any photo from the past 24 hours by swiping up when on the stories camera screen, so just save the flyer onto your phone to add it to your story! The goal with all social media platforms is to provide a human touch when it comes to communication with current and prospective members. As much as that seems counterintuitive to the idea of communicating through a screen, most brands perform best when their social media channels feature a down to earth approach when it comes to sharing. Instagram Stories is a great way to add content to your profile that is real and consistent with what’s going on around your golf club. One fun way to do this is by having employees take turns doing a “takeover”. Takeovers involve one person updating the club’s story throughout the day or even week with photos and videos of what’s going on from their perspective. This can include their job or role in the country club’s day to day operations along with glimpses into the golf shop, bar & grill, or behind the scenes. Featuring members going about their day while enjoying your amenities is a great idea during a takeover as well. 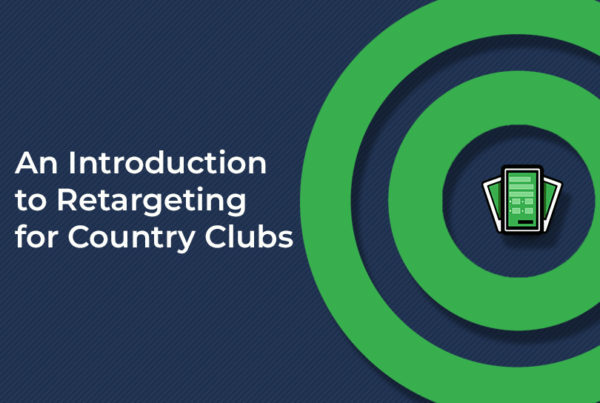 Note: It’s a good idea to go over best practices with club employees before they start sharing with the public. There’s no take backs if something is posted that isn’t in line with the club’s image. A simple brand policy is a great way to make sure all employees are on the same page. Most importantly, have fun and get creative with the photos and videos you upload! Remember that your audience has to sort through tons and tons of noise to hear your message so be sure you’re offering real value to their day in order to stand out. Make them laugh, get them interested or simply intrigue them with your unique offerings. Consider doing contests to get followers more engaged in your content. Things like “screenshot this and show it to your server in the bar to get 10% off” or maybe offer early access to prime weekend tee times or golf shop merchandise. Note: Boomerang is a fun little feature on Instagram stories that will allow your country club to get creative with content easily. If someone swiped up or clicked the “Send Message” button and sent you a message, you can view the message easily by going to your inbox. To do this, go to the home/news feed page and swipe to the left. Or you can click the “mail” icon in the top right corner. Note: It looks like a paper airplane. If you’re encouraging viewers to message you, make sure you take the time to respond back to them! Whether you simply redirect them to your website or give them a full, personalized response, responding to messages is another way to put human touch into your digital marketing efforts. One of the best things about digital marketing is that you can see results in the way of analytics and insights. Data doesn’t lie, which is why it’s nice to see the numbers behind your efforts. To do this, make sure your profile is setup as a business profile. You can do this by going to your profile and selecting the settings button. If it isn’t set up as a business page, follow the prompts to set it up and check back in a few days to see how your page has been performing. If it is set up as a business page you will see a bar graph in the top right corner. From here you can see all your profile analytics, but specifically, there’s a section dedicated just to the stories feature. Click “See More” so you can view your stories analytics for up to the last 14 days. You can see a variety of metrics including impressions, reach, taps forward, taps back, exits, and replies. 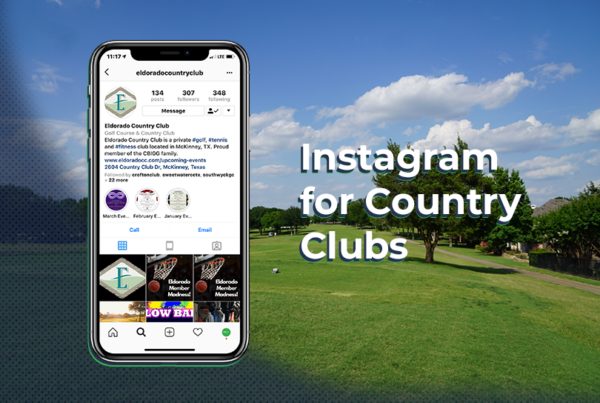 Instagram Stories are a great way for your country club to stay active on Instagram, provide valuable content to your golf loving followers and offer your potential members a look inside your golf club! They don’t need to be perfect, after all the whole point is to show the human side to your business. For more tips, tricks and golf club marketing content, make sure you follow us on Instagram!